Okay, I'll admit it. I compulsively check my blog stats during the day to see how many visits I've had, and where they've come from. I don't mean I'm peeking into your computer. I can't see you, but if other sites pass along the information, I can see the address of the site that referred someone to me. Much of the traffic comes from very few sources. Google, of course. Photo sharing sites. Twitter. Facebook. Don't go there yet. Lemme gloat a bit. You see, The Kitchn hosts this "Best of the Blogs" thing, and people nominate their favorites. Somebody nominated ME. Woah. Like out of all the possible wonderful blogs, someone put my name on the list. I was floored. I scrolled through the list, and there are a LOT of amazing blogs that I'm familiar with. That I am pleased and proud to rub elbows with. That I would love to grind into dust as I claw my way to the top. Ahem. That I am excited to compete against. Realistically, there's no chance for me to get to first place. Top six is where the real glory is, because those blogs will get a LOT of attention on The Kitchn which leads to a LOT more traffic. I can hope to get to the top six, but even that is pie-in-the-sky. Not because I don't believe in my blog, but because there are so many awesome food blogs. Seriously. And every day, it seems like I find a new one. Looking for a new food blog to read? Go check out the list at The Kitchn. And while you're there, I wouldn't mind a little vote for Cookistry. And, in case you don't know - you can indeed vote for more than one blog. So if you're torn between one or two or five favorites, give them all a little love. For most of the bloggers on that list, it's not about winning, but being recognized. Having at least a few people say that you're doing okay. I was giddy to see my name on the list. Thank you anonymous person who nominated me. Meanwhile, my goal is to get enough votes so I climb far enough up on the list that people who don't know me will be click the link. That's it. That's the goal. Not winning. I just want to meet a few people. Now you can go. Go ahead, now. Run along. I'll be right here when you come back tomorrow. Or I will be after I go visit a bunch of awesome new blogs. ** The photo has absolutely nothing to do with this post, except that I won a contest with the recipe. When I looked into the box with the most recent goodies from Fooducopia and saw the Raspberry Jalapeno Jam from LuAustin, I had no shortage of ideas. That sweet-spicy combination would have worked perfectly as a glaze for meat or the beginnings of a sauce, or with some crackers and cheese. So many ideas, but then I decided to go a completely different direction. Have you noticed the unusual ingredients bartenders are using these days? Mixology has gone far beyond the usual sodas and citrus and bright red maraschino cherries. Herbs like basil and rosemary have invaded cocktails. Drinks are no longer just sweet or sour - now they might be spicy. So I decided to make drinks. And it couldn't be easier. Put a teaspoon or two of the jam in the bottom of a glass. Top with chilled prosecco, sparkling water, or lemon-lime soda. Stir to combine and garnish with a sprig of basil or mint. Serve. I was on my way to making cinnamon rolls when I changed my mind. Don't get me wrong - I love cinnamon rolls. But I was craving something nutty. Crunchy peanut butter sounded like the perfect thing. A little extra sweetness comes from the brown sugar, but these aren't tooth-achingly sweet, which makes them a little more like breakfast and a little less like dessert. But that's just me - if you're a fan of sweet breakfast rolls, you can drizzle these with a glaze made from powdered sugar and water. No need for a recipe - just start with a cup of powdered sugar and add water a teaspoon at time until you reach the consistency you're looking for. When I make a glaze, I like to add a little extra flavor - typically vanilla or coffee - but you can play with flavors you like. Some chocolate shaved on top would make a nice accent, or mix the chocolate into your glaze if you're a fan of the peanut butter and chocolate combination. Or, warm some of your favorite jelly and drizzle that on top. Personally, I thought these were perfect plain. Combine the water, sugar, and yeast in the bowl of your stand mixer. Let it stand until it for 10 minutes. Add the bread flour and semolina and knead with the dough hook until the mixture begins to become elastic. Cover the bowl with plastic wrap and set aside for 20 minutes. Add the salt and 6 tablespoons of the butter, cut into small pieces. Knead with the dough hook until the butter is completely incorporated and the mixture becomes smooth and elastic. Cover with plastic wrap and set aside for 30 minutes. Flour your work surface and spray an 8-inch square baking pan with baking spray. Turn out the dough onto your floured surface and knead it briefly. Shape it into a rectangle, then roll it to a rectangle about 12x16 inches. Position it with one of the long sides facing you. Spread the peanut butter on the dough thinly covering the entire surface except about an inch on the edge farthest from you. Sprinkle the brown sugar on top of the peanut butter. It doesn't have to be completely even, but try not to have huge clumps of it. If you like, sprinkle a pinch or two of coarse salt on top, as well. Beginning with the side closest to you, being rolling up the dough, jellyroll style. Don't roll it tightly - you want it to be a bit loose. When you reach the far end, pinch the dough to seal the seam. Cut the dough into 3 even pieces, then cut each of those into 3 pieces for a total of 9. Arrange the rolls, cut side down, in the pan in 3 rows. Flatten the rolls a bit so they are all the same height and they just barely touch each other in the pan. Divide the remaining 2 tablespoons of butter into pieces and place a bit on top of each roll. Cover the dough with plastic wrap and let it rise until doubles, about 30 minutes. When the dough has risen, remove the plastic wrap and bake until the rolls are nicely browned, about 35 minutes. Removed the rolls from the pan and let them cool if you aren't serving them immediately. For a soft top, cover the rolls with a clean kitchen towel as they cool. If you like you can top these with a sprinkle of powdered sugar or drizzle them with drizzle of your favorite glaze. Personally, I like them plain. As you might expect, I read a lot of stuff about food. And sometimes I don't remember exactly where I read it. Or exactly what I read. Lately, I've been on a bit of a avocado binge, and I recalled reading somewhere that it's possible to use avocado instead of egg yolks to make something like mayonnaise. Avocado works in mayonnaise because it has the right properties to make a stable emulsion with oil, and you end up with a thick, creamy product like mayonnaise for sandwiches, salad dressings, or whatever else you'd use mayo for. So I started experimenting. And yes, it works. It doesn't taste exactly like mayonnaise because avocado has more flavor than an egg yolk. But if you like avocado, that's not a problem. And it's a light green color, unlike the creamy yellowish white of mayonnaise. Who would want such a thing? Well, some people are allergic to eggs. And when it comes to home made mayonnaise, some folks are squeamish about raw egg yolks, or they have health reasons for avoiding them. It's also a good mayonnaise substitute for vegans or for vegetarians who avoid eggs. And it's also really good for avocado lovers. Because you get that nice creaminess of mayonnaise, along with the flavor of avocado - but a little more subtle than if you just mashed an avocado on your sandwich. You know how avocados turn brown after they're cut? Well, this mayonnaise doesn't turn brown - or at least it hasn't after several days in my refrigerator. So you don't have to worry about making exactly as much as you need, since it will store well for at least a few days. You can make more than this recipe calls for, no problem. You can also make less. But if you don't have enough avocado to start with, it won't catch on the blender blades and you'll spend a lot of time fishing around to make sure it's all blended. Put the avocado in your blender and add the lemon or lime juice. blend until it's smooth. You can also use a stick blender or food processor. Since this is a small amount, you might need to cajole the avocado a bit to blend - some might get stuck under the blades of the blender, and you'll need to use a small spatula to make sure it's smooth. Add the salt. With the blender running add the oil slowly, stopping the blender as needed to scrape down the blender and make sure it's all combining. Depending on how you plan on using the mayonnaise, you might want to thin it a bit. Add water, as needed, until it is the texture you prefer. This mayonnaise makes a great salad dressing as-is, or add herbs, a little more citrus, or other flavors that you'd add to your favorite creamy dressing. If you want something with less avocado flavor, simply add more oil and more water. Adding more oil will make it thicker, so you will need the extra water to thin it out. If you're a regular reader here, you probably know that I like to enter the contests over at Kitchen Play. For a different twist, I got invited to participate in what the folks at Kitchen Play call a Sidecar Event - a special blogging event about a featured product. Sure, I could have spread the dip on a cracker and been done with it (we weren't required to create a recipe, so I literally could have simply spread it on a cracker). But once I found the dip, I figured I should do something a little more interesting with it. I like little nibbles - snacks or appetizers - and this dip seemed like the perfect thing to use. The application was simple. Thin slices of a small loaf of bread I had on hand, topped with ham and then the cheese. I used cocktail rye bread that I had made, but you could certainly use anything you like. If you don't have a baguette or similar bread for small slices, you could slice sandwich bread into quarters or cut out rounds with a biscuit cutter or cut shapes with a cookie cutter. I put the little breads under the broiler to melt the cheese and brown it a bit. And that's it. Done. A warm, cheesy toasty snack. You don't really need a recipe - just use as much ham and cheese as you like, and if you want to add something else, go for it. A bit of mustard would be nice. If I was making the same thing for company or for a party, I might add a little more garnish. Maybe a sprinkle of thinly sliced scallions or olives or chopped tomato. But really, for a quick snack, simple is great. As part of this event, Jarlsberg is hosting a giveaway of some pretty sweet things (this link will take you to the giveaway). Sounds pretty good, right? So, go wander over to the giveaway and enter. That honey vinegar is calling my name. And cheese is always a good thing. I received a small monetary compensation for participating in this event. This has been submitted to Tastespotting. We've all done it. Make a chicken for dinner and you have plenty of leftovers. But the next night you think that it would be great to use the meat in a different way. But what? Sure, you could make chicken salad, but that sounds more like lunch than dinner. And the chicken is already cooked, so you don't want to cook it even longer in a casserole of some kind. I know a few people who say they don't like leftovers, but that's usually because their mom reheated the same meal in the same way night after night until the meat was dry and the vegetables were mush. What might have been a wonderful meal on the first night was less than appealing on the third night. That's one way to treat leftovers. The other way to treat them is to consider them as ingredients in a new dish. Instead of serving the same thing for three days straight, you can use the same ingredients to make three different meals. In this case, I used a poached chicken breast that I had left over from another dish, you you could use roast chicken instead. Or even cooked pork. The point it that you add the meat at the very end of cooking, just long enough to heat it, and then you serve. Voila! New meal. Of course, you could skip the whole "leftover" idea and cook the chicken specifically for this dish. The Sweet Chili Sauce from Hot Gringas' packs a nice amount of heat, but it's also a little bit sweet, so it adds several dimensions of flavor to this dish. And since it's a condiment all on its own, you can hold back on the amount in the dish itself (in case you've got heat-squeamish diners) and pass more sauce at the table for those who want to amp up the flavor even more. I served mine over rice, but this would be great as a filling for a taco, if that's your preference. And since this is loaded with vegetables, one chicken breast - with the rice - was more than enough to feed two people. Guess what I'm having for lunch? Heat the olive oil in a saute pan until it just begins to shimmer - you don't want it smoking hot. Add the onion and cook until it begins to soften. Add the bell pepper, salt and pepper. Continue cooking until the vegetables are your desired doneness. Add the chicken breast and Hot Gringas' sauce and cook, stirring, until the chicken is heated through. Serve over rice or as a filling for tacos. Make sure to bring the jar to the table, for those who want more sauce. * I buy bell peppers when they're on sale and clean and freeze them, so I used green, yellow, and red bell peppers. You can use whatever color you like, or a mix. And if you really like peppers, add more. ** I used a poached chicken breast, but you can use any part you have on hand. Roasted or rotisserie chicken will work really well. For more information on my partnership with Fooducopia, see the tab at the top. Fish en Papillote sounds so fancy and so complicated, but it's actually very simple. Fish is enclosed in parchment along with some flavorings and a bit of liquid. The fish cooks gently and is infused with the flavors. And it cooks quickly. And unattended. No need for poking or prodding or flipping. This time, I cooked the fish in the oven, but I've also done this in the microwave. I know, cooking meat in a microwave seems so wrong, but I saw a Good Eats episode where Alton Brown did just that, and I tried it. The reason it works is that the microwave heats the liquid which turns to steam, and that steam does most of the cooking. This recipe is just as good for one or two people as it is for a crowd. And, if you've got a few people with particular food requirements, you can customize the individual servings. The parchment packets keep everyone's food separate, so onion-haters won't find stray onions on their plates. Cooking time will vary a bit, depending on how thick the fish is, so it's not a bad idea to have an extra serving that you can open and peek into. When choosing a fish for this cooking method, ask the fishmonger what he has and what he recommends. I used sole fillets. You can serve these in the parchment, or remove them and plate them. Another bonus of this cooking method is that the parchment package hold the heat in, so it gives you a little extra wiggle room between cooking and serving. Since these are assembled per person, you can make as many - or as few - as you need. The recipe is for one portion. Since the fish was so pale, I chose a bright and festive side dish. Sprinkle of herbs (optional) - I used thyme, but dill is classic. Fold a piece of parchment paper in half, and cut it in a heart shape. Open it, and put the fish on one side of the open heart. Scatter the sliced onions on on the fish and put the sliced lemon on top. Sprinkle on salt, pepper, and your choice of herbs. Add the oil or butter, and drizzle on the wine or sherry. Fold the empty half of the heart over the fish. Beginning with the non-pointy side of the heart, begin making small overlapping folds along the edge of the heart, continuing all the way to the pointed end. This seals the packet. Place the packet on a baking sheet and bake at 350 degrees until the fish is cooked through, about 15 minutes. Serve in the parchment packets or plate the fish, if you prefer. Note: the packets are full of steam, so it's a good idea to wait a minute or two before opening them, and be cautious of the escaping steam. Since the fish was pale, I decided it needed a bright accompaniment. These endive boats are easy to prepare and offer bright color and a variety of tastes and textures. I used pickled beets from MMLocal. Endive leaves vary in size - choose some that aren't so big that they're a taco, but large enough to hold the three bite-sized components. Separate the endive into leaves and clean them. Trim the bottom so it looks nice. Cut the beets into bite-sized pieces that will fit inside the endive comfortably. Pat them dry to help prevent the color from migrating everywhere. Arrange a piece of pickled beet, a small dollop of chevre, and a segment (or supreme, if prefer on each endive leaf. Serve. This post was sponsored by Whole Foods. For more info see the Whole Foods Friday tab at the top. I am giving away a dozen amazing avocados on this post. You might want to go there are leave a comment if you love avocados. But come back! I like sliced avocado next to scrambled eggs. But then I started thinking about it ... and, well, in some dishes, avocado can substitute for eggs. So why not combine the two? I considered mashing the avocado completely, but then decided to leave it mostly chunky. Since the avocado was very ripe, some of it did melt into the eggs a bit, while there were chunks as well. This isn't much of a recipe, but maybe it will inspire you to have some fun with eggs. Besides being a breakfast, this would make a great filling for breakfast burritos. Salsa instead of the red peppers would be great as well. Melt the butter in a nonstick skillet. Crack the eggs in a small bowl. Scoop the flesh out of the avocado and add it to the eggs. Add the salt and pepper. Mix, breaking up the avocado a bit and beating the eggs a bit. Cook the eggs in the buttered pan, to you liking. Serve garnished with roasted red peppers. I've never been to a blogger conference. I've read the good, the bad, and the giddy from bloggers who were at conferences. Are they worth it? I guess it depends on who you ask, and what the conference is. Last year, I really wasn't interested in going to a conference. But this year, well, I think it might be fun. It would be even more fun if someone wanted to help defray some expenses. You know, like maybe a cheese company. 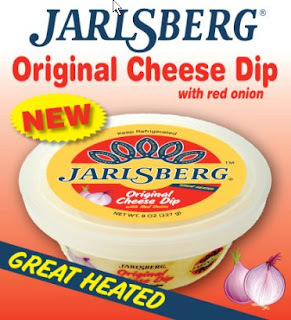 Like Jarlsberg. They're sponsoring a contest for one blogger's entry to Eat Write, Retreat, and I'm feeling lucky. Cheese and I have a long history. We've been good friends as far back as I can remember. Cheese should send me to a blogging conference, don't you think? One of my favorite cheesy, melty Jalsberg relationships is all about a particular sandwich. A Cuban sandwich. When my husband and I lived in Chicago, there were a few places where we could get Cuban sandwiches. After we moved to Colorado, those fantastic sandwiches were hard to come by.. So I made my own, starting with the bread and ending with smashing the sandwiches in a sandwich press. And somewhere in the middle of the sandwich, nestled on top of the ham and pork, Jarlsberg cheese melted and glued the sandwich together and oozed enticingly out the sides. I've made a lot of Cuban sandwiches since that first one, and each time it's not just about the flavors, it's also about the history of our relationship with the sandwich. I don't remember my first hot dog or my first hamburger, but I remember that first Cuban sandwich that I ate with my husband. A Cuban sandwich is a simple thing, and I've published the recipe before, so I'm not going to republish it. But I do encourage you to try one. It's almost just a ham and cheese sandwich, but somehow the extra ingredients elevate it to something that's more than the sum of its parts. There are some opinions as to whether the sandwich should have mayonnaise, and maybe some opinions about the exact type of mustard and pickle, but roast pork, ham, and cheese are a must. Real Cuban bread is hard to come by, but a baguette will suffice. And the sandwich is always pressed. So there you go. Start with a baguette. Slather some grainy mustard on the bread, and mayo, if you choose. Top with thinly sliced roast pork, thinly sliced ham, Jarlsberg cheese, and hamburger dills. Put the sandwich in a sandwich press and heat it and smash it until you have a dense and tasty sandwich, warm on the inside, with melty cheese. So there ya go. Me and cheese. Really good friends. A while back, I attempted to ship some canned pumpkin to a friend in Italy. Apparently it doesn't exist there, and she wanted to make pumpkin pie. A few months later, the package was back on my doorstep with all sorts of interesting stickers and notations. It looked like it had a rough trip - it was mashed and dented and crushed. The cans were similarly dented. So there I was, with four dented cans of pumpkin, and Thanksgiving far, far away. I also had a couple of overripe bananas. And when I say overripe, I mean tragically overripe. Like you can snip the end off the black banana and squeeze the pulp out, like toothpaste from a tube. Not good for eating, but great for baking. I've made banana pumpkin cookies. So why not banana pumpkin bread? The interesting thing about those cookies was that although there was a LOT more pumpkin than banana, the flavor was predominantly banana. That's what I was looking for in my banana-pumpkin bread. And just for the fun of it, I threw in some hazelnut meal (ground hazelnuts) as well. The resulting banana bread is ... well, it's kind of orange. But like the banana pumpkin cookies, the primary flavor is banana. The pumpkin adds color and moisture and just a hint of flavor. The bread isn't super-dense, but it's not nearly as light as cake. You can bake this in a loaf pan for a more traditional banana bread shape (which would probably require just a tad more baking time), but I opted for making it in a Bundt pan for a more attractive presentation. Preheat the oven to 350 degrees and spray a Bundt or loaf pan with baking spray. In a large bowl, combine the flour, baking powder, salt, and hazelnuts. Stir to combine. Put the bananas in a medium bowl and mash them to get out any lumps. If the bananas are really, really ripe, it might not take a whole lot of mashing. Add the pumpkin, oil, eggs, sugar, and vanilla extract. Whisk to combine. Add the wet ingredients to the dry and mix with a wooden spoon or rubber spatula just until combined. Transfer the batter to your prepared pan. Bake at 350 degrees until a toothpick inserted in the center comes out clean, about 1 hour. Remove the pan from the oven and let it rest for 5 minutes before turning the banana bread out onto a rack to cook. If you want a little garnish, sprinkle a bit of powdered sugar on top of the bread before serving. And while you're here ... don't forget to look over to the right for CURRENT GIVEAWAYS. Quite a while back I received a Panasonic bread machine for review, and I've been working on some recipes for it. The biggest difference with using the bread machine, for me, is that when I'm using a stand mixer or kneading by hand I can adjust amounts as I go. If the dough is too wet or too dry, I can fix that. But with a bread machine, you're supposed to measure everything, put it in the machine, slam the lid shut, and let it go. Oh, sure, you can open the lid and make minor adjustments if you absolutely have to, but the ONE time I tried to add more flour to a dough that was obviously too wet, the machine unceremoniously threw the flour in my face. Oops. You can slow down or stop a stand mixer to do a little hand mixing, but a bread machine has to run though its program. You can't pause it. If you stop it, you have to start from the beginning, which is probably not what you want to do. So I tried to add flour to my wet dough, and when the mixing paddle swung around, there was flour flying. Really, it's smarter to design recipes outside the bread machine and adapt them to work in the machine later. Of course, you can use this same formula and do your kneading by hand or with a stand mixer. Or, let the machine do the work, then take the dough out, shape it, let it rise the last time, and bake at 350 degrees for about 30 minutes. This recipe uses one of my favorite ingredients - peanut butter. But unlike my peanut butter bread recipe that uses a LOT of peanut butter, this one uses just a little. The bread smells nutty, but the flavor is much more subtle. More a compliment to the nuttiness of the whole wheat flour than a punch-in-the-face flavor. And even though there's a significant amount of whole wheat flour, the bread is soft. Place all the ingredients into your bread machine in the order recommended by the manufacturer. If there are settings for the crust, choose light rather than dark. Bake using standard bread settings - not special sweet dough or other custom settings. This has been submitted to Yeastspotting. Do you like yeast breads? Go there for more! Clockwise from top: Hass, Pinkerton, Bacon, and Fuerte. I've been eating a lot of avocados lately. A lot. You see, Virtual Potluck hooked up with SoCal Avocados and they sent each of us a free box of avocados. "What's the big deal?" you might ask, since avocados are easy to get at any grocery store. Well, sort of true, You can buy avocados at the grocery store. Usually Hass avocados. But SoCal sells a lot of different varieties of avocados In my box, I got four different kinds. One was the very familiar Hass avocado. Three were strangers. See how smooth this one is? No bumps. When the avocados arrived, they were rock-hard. You see, avocados don't start ripening until they're picked. and from what I understand, SoCal (a small family operation) picks and ships right away so your little green friends will survive the trauma of shipping unscathed, and will ripen nicely on your counter. Need them to ripen sooner? The information that came with the avocado had instructions on how to hasten ripening, as well as information about storage. And there's even more avocado info on the company website. And pretty pictures. Have you ever cut an avocado open and found brown stringy things in the flesh? Not a single one of the avocados I got had that problem. Not one. Even the last two avocados that I let get a little riper than I planned on were beautiful inside. Pretty things, and yummy. Did I mention that? It's not a lighting effect. The inside colors are different. Besides the Hass, I got Pinkertons, which were larger than the Hass with rough skins, but unlike the Hass, the skins didn't turn black when they were ripe. Bacon and Fuerte were both smooth-skinned avocados and both stayed green as they ripened. The Bacons were larger and had the mildest flavor of all of them. The Fuerte were much richer in flavor. It was pretty interesting to try different types of avocados, and trying to figure out which was what. The differences right off the bat were rough vs. smooth skins, and egg-shaped vs. pear-shaped. Once they ripened, there were more differences, like the darker skin on the Hass. The interior colors were different, too. Some had much larger seeds, and even the color of the seeds was different. I'm so used to seeing just one - or rarely two - kinds of avocados at the store, I never thought about different varieties and how some might be better suited to particular recipes - like some apples are better for pie and some are better for applesauce. Getting a chance to try these different types of avocados was very very cool. Since I had so many avocados to work with, I learned a few tricks, like using a vacuum-sealer to keep the cut avocados from turning brown. For some reason, I never thought of freezing them, but now I've got several packages of vacuum-sealed avocado in the freezer. Speaking of the freezer, I made avocado ice cream. It's sounds a little weird, but it's really good. Combine all the ingredients in your blender and blend until smooth. Or, if you prefer, you can use a stick blender. Refrigerate the mixture until it is well-chilled. Overnight is great. Churn the mixture according to the instructions that came with your ice cream maker. Transfer to a storage container and store in the freezer. I had never heard of SoCal Avocados before we got this project, but I have a feeling they'll be hearing from me again. they've got quite a few other types of avocados that sound interesting, and they're not all available all the time. The avocado of the month club is tempting, too. Maybe you'd like to try some. I can hook you up. One lucky reader here will get a shipment of avocados from SoCal Avocados - 12 avocados of whichever types are in season. Pretty sweet deal, and it's easy to enter. Oh, but that's not all! The OTHER Virtual Potluck bloggers also have recipes for you. And if you don't win here, you might win there. Yup, we're all giving away avocados! It's a veritable bounty of alligator pears! For the complete list of participating bloggers, visit Milisa at Miss in the Kitchen. Contest is CLOSED. The winner is Poodle_power! Visit SoCal Avocados' website and leave a comment here telling me which type of avocado you would like to try. Tweet a link to this contest, and come back here and tell me that you tweeted. Like SoCal Avocdos on Facebook and come back here and tell me you liked them. Follow SoCal Avocados on Twitter and come back her and tell me that you followed them. Subscribe to SoCal Avocados' emails and come back here and tell me that you subscribed. And that's it. One mandatory entry and four more optional bonus entries, for a total of five possible entries per person. Contest starts as soon as this post goes up and ends on Saturday February 25 at midnight, mountain time. Good luck! When I saw that this month's Kitchen Play contest was sponsored by the Cherry Marketing Institute, I thought that was pretty cool. From the time I was a little kid, cherries were one of my favorite foods. Back in those days, my mom and I would walk to a vegetable truck to buy fresh produce in the summer. There were no farmer's markets in our area at the time, and no nearby farms, so that vegetable truck was our only alternative to the grocery store. When cherries were in season, sometimes my mom would buy a quarter- or half-pound of cherries from the truck, and I'd nibble on them as we walked. Most of the time the bag was empty by the time we got home. So of course I wanted to create a recipe with cherries. Part of the deal with the Kitchen Play recipes is that we can adapt and revise recipes. I adapted that recipe all the way from tart cherry soup to a tart cherry beverage. Yes, another "infused booze." Put the cherries, sugar, and water into a 1-quart container. Top off with vodka to fill the container. Shake to combine and to dissolve the sugar. Let the infusion steep for several weeks, shaking daily - or whenever you think of it. After a minimum of two weeks - longer if you have time - strain the cherries out of the mixture, then strain the liquid through a coffee strainer to remove any small bits or sediment. Transfer to a container for storage. Once again, I'm throwing my hat in the ring for a Marx Foods contest. This time I was required to make two dishes and use at least four ingredients. Well, okay, I can do that. Easy peasy, right? Maybe. Maybe not. Voting is now LIVE on this contest! If you could go over here and vote for Cookistry, I'd be appreciate it. Even if I don't win, it makes me happy to see a decent number of votes come my way. Meanwhile, this is how it all played out in my kitchen. After pairing ingredients and coming up with a few recipes, it all kind of went sideways. I had it in my head that I was supposed to make 2 courses, but completely missed that it was supposed to be appetizer and main dish. So you're getting a dessert as well. But that's okay - it's a good dessert, and I had plenty of other ingredients to play with. I didn't use the hijiki, which is a seaweedy shredded product. That's the item in the center of the plate. So I used five ingredients, total, and I shuffled them around so I used at least two ingredients in each course. Cheese and mushrooms combine on a millet studded bread for a nice starter for your meal. Of course I made the bread from scratch. Texturally, the millet nearly disappears inside the bread, but the crust has a bumpy surface. When I was a kid, we lived in an apartment, so we couldn't have dogs or cats. Instead we had birds and fish. Millet is a typical component in birdseed mixes for canaries and parakeets, and I remember getting long stalks of millet as a "treat" for our feathered friends. Most recently, I found out that millet is the filling in a microwavable neck pillow - meant to ease sore muscles - that I bought at a craft fair. This was the first time I ever cooked millet, though. I considered using it in a salad or pilaf, but I wanted to make bread for this course, and the slightly nutty flavor of the millet seemed like a good addition to bread. I cooked the millet in my rice cooker, and it looked sort of like miniature popcorn when it was done. 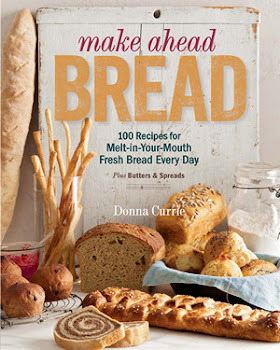 To make the dough, chuck everything into your bread machine in the order the manufacturer recommends and set it for whatever kneading-only cycle works best for you. When the dough is ready, flour your work surface and turn out the dough. Knead it briefly, then divide it in half. Form each half into logs about 12 inches long and place them on a baking sheet lined with parchment paper or sprinkled with cornmeal - or if you have one, use a perforated baguette or French bread pan. When the dough has doubled, remove the plastic wrap and bake until it's nicely browned, about 25 minutes. This makes a conservative amount of topping - you can certainly make more. How many crostini you'll get from this depends on how generous you are with the topping. Soak the mushrooms in hot water for 20 minutes or so, until they soften. Meanwhile, heat the olive oil in a saute pan. Add the onions, thyme, and a pinch of salt and saute until the mushrooms soften and become translucent. Chop the mushrooms and add them to the pan. Cook, stirring as needed, until the mushrooms brown a bit on the edges. Add more salt and pepper, as needed. If the mixture seems dry, add a splash more of olive oil. Slice the bread into thin rounds and toast it slightly. While it's still warm, spread it with a thin layer of goat cheese (chevre), then top with the mushroom mixture. Serve warm or at room temperature. This salad can be served chilled, room temperature, or warm. I poached chicken specifically for this dish, but you can use left over roasted chicken, if you prefer. Served chilled, this makes a nice, light meal, and a few slices of millet bread goes well with it. Warmed, this salad makes a great filling for tacos or makes a heartier meal served over rice. This is the kind of recipe where exact measurements aren't critical. Add more chicken, more beans, whatever looks right to you at the time, In the summer, I'd probably add some fresh tomatoes. Combine all the ingredients. Taste and add salt and pepper, as needed. Add more cayenne, if you want a little more heat. The start fruit starts off with a bit of a chew to it, and it adds a nice sweetness that contrasts well with the yuzu juice and the cayenne. After an overnight rest in the fridge, the star fruit softens quite a bit, but retains its sweetness. I've been looking for the ultimate rice pudding recipe for a long time. This may be it. I prefer this type of pudding chilled, but some folks like it warm. It's your choice. The grated star fruit adds a citrus-like note to the pudding - a little different than the typical cinnamon or nutmeg. Combine the cream, 2 cups of milk, cornstarch, eggs, sugar, and salt in a saucepan. Whisk to combine. Heat on medium, stirring often, until the mixture thickens and begins to bubble a bit. Add the cooked rice, vanilla, and the remaining cup of milk. Stir to combine. Transfer to a storage container and refrigerate until fully chilled. If it is too thick for your taste, add more milk (or cream, if you're feeling decadent) prior to serving. Serve topped with finely grated star fruit (I used a microplane). For the purposes of this contest Marx Foods sent us samples amounts of the ingredients we were expected to use. I had more cooked millet than I needed for the bread I made for this contest, so I used to to make some cookies. They worked really well paired with the rice pudding, but this post was already waaaaaayyyy too long, so they're in the next post. Check 'em out. The photo at the right is a little preview, just to get you hungry. The bread in this post has been submitted to Yeastspotting.